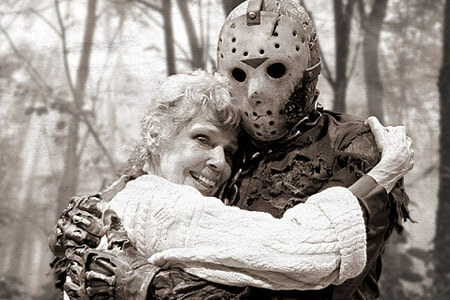 Jason and his mom. . Wallpaper and background images in the Jason Voorhees club. LUCKY!!!!!! I WANT A HUG FROM JASON!!! aww, I would want to do that!